Friends from different backgrounds come together in this heartwarming picture book from beloved children's book author Patricia Polacco! Larnel doesn't know his neighbor, Mrs. Katz, very well, until he asks her to adopt an abandoned kitten. 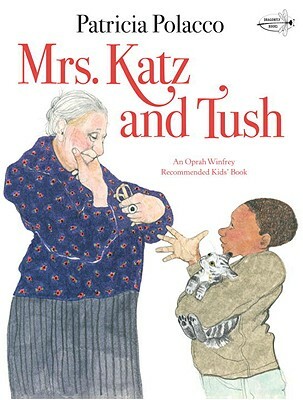 Mrs. Katz agrees on one condition: that Larnel helps her take care of the kitten she names Tush. When Larnel starts spending more and more time with Mrs. Katz to help with Tush, Mrs. Katz tells him stories about coming to America from Poland and about the good times she spent with her late husband. As Larnel grows to love Mrs. Katz, he also learns about the common themes of hardship and triumph in each of their cultures. "Polacco's bright double-spread watercolor paintings are exuberant...an elemental picture of human family."